Our Chief Happiness Officer, Bron Roberts, is often approached by people who believe they know her. She jokes about having 'that kind of face', but, given the number of clients who have enjoyed Let's Laugh programs and workshops and the amount of media coverage that laughter and Let's Laugh have received over the past few years, it could be that they have actually seen or met her, somewhere, at sometime, be it in person, in a paper or magazine or on the TV. Let's Laugh programs have been shared with thousands of participants in the corporate, health, education, government and community sectors, and with countless others through media, festival and conference presentations and appearances. While we don't keep count of the number of people who enjoy Bron's presentations we do know that since she's been sharing her popular programs she's given away over 900,000 smiley badges! Below is a list of just some of the clients who have enjoyed Let's Laugh programs, and what some of them have had to say about their experience with our programs. Austin Hospital - Mental Health patients Parents and Carers support group. Victorian Aboriginal Community Controlled Health Org. Road Trauma Support Services Vict. Just a quick not to say thanks! I loved it. I was at the Road Trauma Support Services Victoria educators meeting you presented on Saturday. My biggest take home was about the power of imagination. I loved it so much I gave you a plug on my online coaching membership program. Have a great day and thanks again. 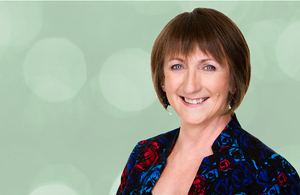 Majella Ballard - NLP Practitioner, Coach and Success Strategist. I just wanted to thank you for your presentation today. I think you would have been quite chuffed to see 96 year 10 students wearing their bright yellow smiley badges while completing a project this afternoon. A few teachers who attended your session this morning kept saying to the students "Now take a minute to turn and deep breath and smile at your partner, before you commence your next activity." The kids did it with a great deal of good humour! Thanks again. - Robyn Hughes - Senior School Leader - Keysborough College. On behalf of the team at Marble Expert Recruitment Group I would just like to say what an absolute joy it was to participate in your session. Your enthusiasm and contagious happiness kept our whole team laughing from Thursday am through to Friday night. Thank you so much for putting a smile on our faces and we hope we can continue our laughter practice when volunteering with the Camp Quality Children next week. All the best in your future sessions, Madelyn and the Marble Expert Recruitment Group. I just want to say thank you so much for the workshop last week, my team are still talking about it and giving each other high fives in the hallway. It's something that many staff have not done before but they all enjoyed it and said they would love to have you out again. Take care and I'm sure I'll see you again in the future - Rachael Klinger - The Children's Centre - Mulgrave. You will be pleased to know that I arrived home with a smile on my face. Many of our members have told me how much they enjoyed your informative, lively and HAPPY talk. I realise now that you have given your talk to other PROBUS clubs and I hope you don't mind if I give your details to friends clubs in areas further away. I know the more people that hear you, the HAPPIER they will be. Thank you for being our July speaker. - Pat Stewart - Ladies Club of Doncaster Central. More feedback from our Meditation classes can be found on our Meditation Program page. You are the most engaging speaker we've had in a very long time. Edna, resident, retirement village in Melbourne's eastern suburbs. I may never take health and well-being seriously again. Oh, that's not right, I will take it seriously by not taking it so seriously. I was so disappointed when the session ended. I'm going to start a petition to get you back. I want you running our meditation not the mention reminding us to laugh more. Shoulders back, big breath in, smile on, laugh out. LOVE IT! Kelly, Lawyer, Melbourne based international law firm.